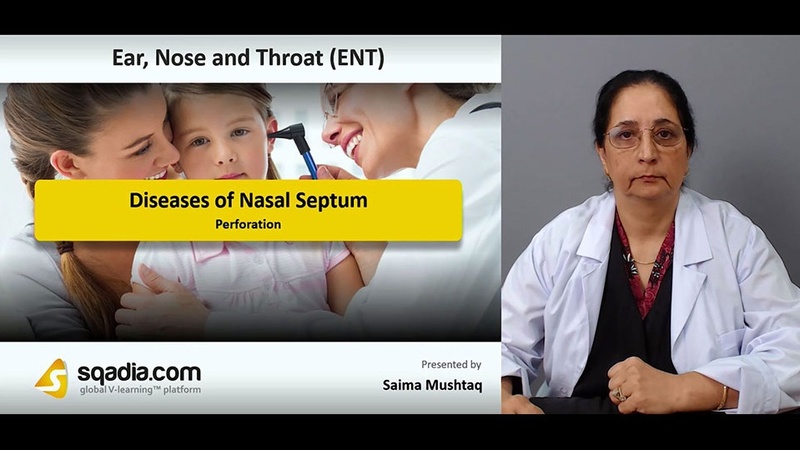 The major focus of this lecture is the comprehension of numerous Diseases of Nasal Septum. Section one aims at talking about the Anatomy and Fractures. In the beginning, the educator has stated the Anatomy which is afterwards followed by a debate over the Kiesselbach’s Plexus. Moreover, Aetiopathogenesis of Fractures and Types of Fractures of Nasal Septum have been shed light on. In the end, Treatment and Complications have been conversed about. Section two accentuates Deviated Nasal Septum. The educator started off by referring to the Aetiology. In addition to this, various Types of Deviated Nasal Septum have been expansively elucidated. In conjunction with this, Clinical Features and Cottle Test has been delineated as well. Moving further, Clinical Features and Treatment has been reflected upon. In the end, the section winded up by alluding to a treatment option termed as Septoplasty. Section four targets at deliberating about the Septal Hematoma. 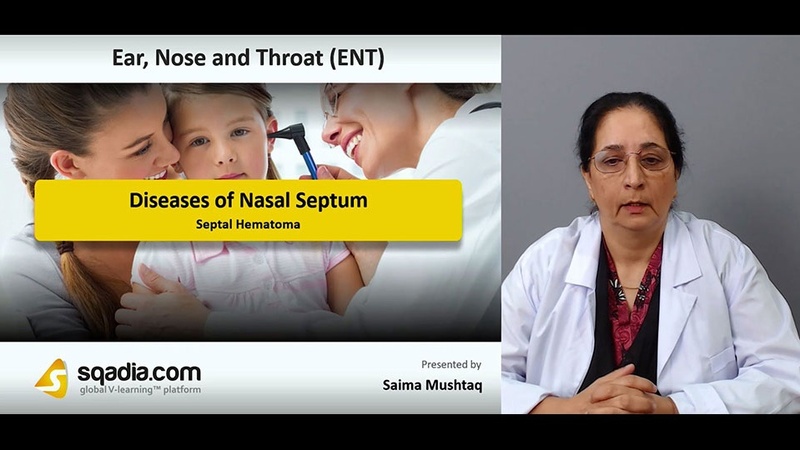 First and foremost, Septal Haematoma has been specified. Additionally, Clinical Features have ben reported extensively. At the end, the educator wrapped up by communicating about the Complications. 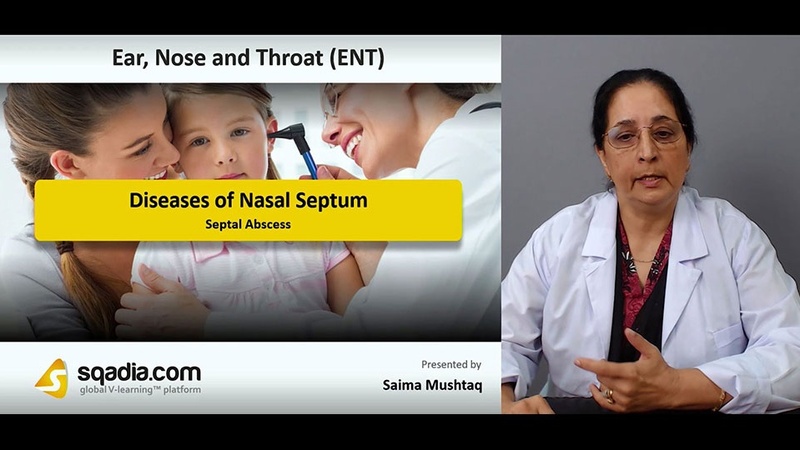 The prime objective of section four is the Septal Abscess. Initially, the term Septal Abscess has been expounded. Succeeding this, Clinical Features has been brought into discussion. Later on, the educator has explicated the Treatment. Ultimately, the section clinched when the educator conferred about several Complications. Section five accommodates Perforation. In the start of this section, Traumatic Perforations has been brought into contemplation. Likewise, Pathological Perforations and certain Drugs and Chemicals have been taken an account of. Finally, the curtains have been brought down when the educator brought Clinical Features and Treatment under dialogue.